German Chancellor Angela Merkel and her coalition partners have finally reached an agreement on migration policy. The deal involves accelerated asylum procedures but no massive transit centers and no unilateral moves. Following weeks-long painful negotiations, the German ruling coalition, which includes Merkel’s Christian Democrats as well as their Bavarian allies from the Christian Social Union (CSU) and the Social Democratic Party(SPD), have finally reached a consensus on immigration and asylum policy. 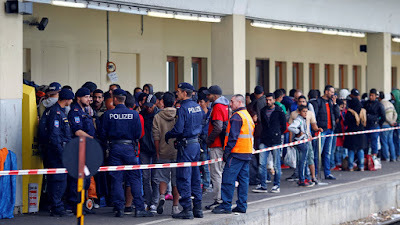 The deal was first confirmed by the head of the SPD, Andrea Nahles, who said that the new “immigration package” does not involve the establishment of any “camps,” adding that Germany would also not act on its own and would instead cooperate with other EU members. The agreement would allow the coalition to “readjust” its strategy in the field of immigration, Nahles told the German media, adding that this new strategy could still be implemented only if Germany would manage to reach bilateral agreements with other EU countries, which would agree to take back refugees that first registered in their territory. “All in all, we have found a good solution,” the head of the SPD said. The agreement basically envisages speeding-up the processing of asylum requests, particularly if refugees already filed similar requests in another EU state. In such cases, they would almost immediately be sent back to those EU states. However, the new deal does not envisage the creation of any large “transit centers” to accommodate asylum seekers as long as their requests are processed. If the refugees who already sought asylum in other EU states “cannot be immediately brought to the existing accommodation facilities in the Munich airport transit zone and send back to those countries, the Federal Police should use its existing facilities near the border for the transit procedures,” an explanation note to the agreement says, as cited by the Sueddeutsche Zeitung daily. 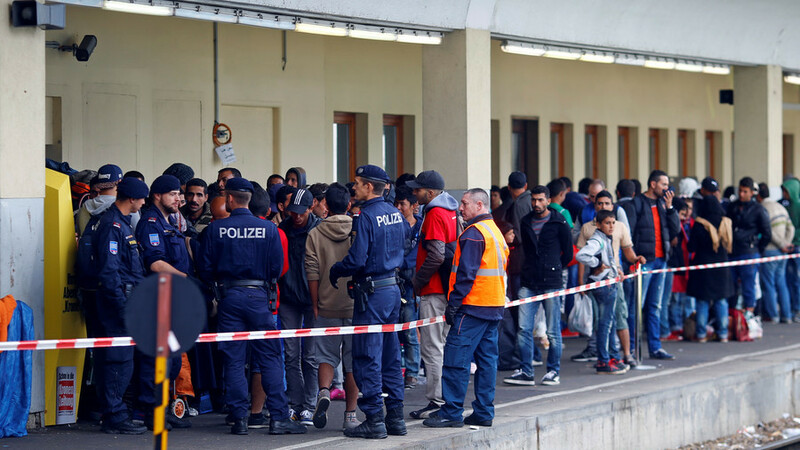 The police facilities mentioned in the agreement are expected to play the role of “transit centers” and will be tasked with checking if the refugees that arrive in Germany have already filed an asylum request in any other EU country. German Interior Minister Horst Seehofer, who also confirmed that the coalition agreement had been reached, explained that asylum seekers would not be sent to any “transit centers” for a long period of time. “There will be no barbed wire or anything like this,” he told journalists, explaining that even those who filed asylum requests in other countries would have “total freedom” no later than in 48 hours, but they would not be allowed to enter Germany. He also said that the German government also vowed to draft a new immigration law within a year. Still, the implementation of the deal, which de facto depends on the consent of other EU states, might yet prove to be difficult. Austria already refused to accept refugees rejected both by Germany in case a country where they first filed an asylum request would also hesitate to take them back. Hungary also said it would make no concession to Germany on the issue of migration, Sueddeutsche Zeitung reports. Reaching a deal on refugees’ deportation with Italy is also “unlikely,” the paper adds, pointing out that Rome already showed its unwillingness to accept any new arrivals. “These negotiations would be anything but simple,” Seehofer said, commenting on the forthcoming talks with other EU states.